Blue Angel is located on 343 West 44h Street in Manhattan. On Saturdays DJ Elvira spins "Pure Salsa". Admission is free til 12 midnight for now. The phone number of Blue Angel is (212) 262-3333. These photographs were taken by J. Fernando Lamadrid on April 14, 2001. 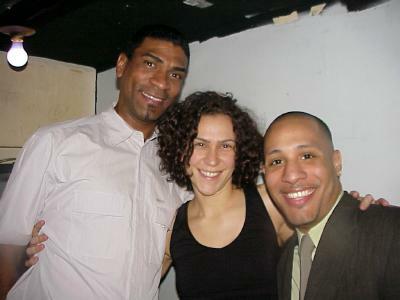 All rights reserved and copyright www.justsalsa.com 2001. Your feedback is welcome.